The Fujifilm FinePix X100 was a milestone camera in the industry as one of the first large sensor, prime lens cameras to achieve widespread popularity. Its classic looks, obviously cribbed from a certain German camera maker, were justified by the excellent image quality its 35mm equivalent f/2 lens could produce. It was also a rare example of a camera its maker continued to develop, long after it hit the market. An original X100 running the latest firmware is a much better camera than the one that Fujifilm originally launched. Impressively, this work continued even after the second-generation, Fujifilm X100S had been launched. 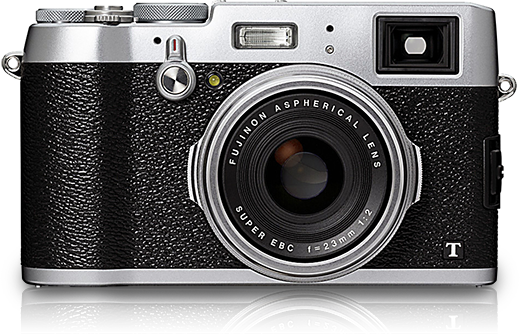 Fujifilm has continued this process of improvement, fine-tuning and evolution to create the X100T. From the outside it looks very much like the original model but it's packed with a host of changes, modifications and additions that promise to make it still better than what's gone before. There's a Japanese approach to continuous improvement often refered to as 'kaizen,' and it's hard not to see its application in Fujifilm's approach to its X series cameras. So, at its heart, the X100T shares its core features: the 16 megapixel CMOS sensor with X-Trans color filter array and excellent 23mm f/2 lens with its predecessor, the X100S. But almost everything beyond that has been reworked, re-assessed or refined. Probably the biggest single change to the camera is the redesigned hybrid viewfinder. Part of X100's appeal was its clever viewfinder that had an electronic viewfinder mode or an optical mode in which shooting settings could be overlaid. The X100T's finder gains a 2.3m dot LCD panel but also adds a darkened 'tab' that can pop up in the optical finder, to allow projected information to be clearly seen in all lighting conditions. That tab means that the camera's Digital Split Image manual focus system can be used in conjunction with the optical viewfinder mode to give a rangefinder-like manual focus experience. Cleverly, it has has been added without the need for any extra control points: the small lever on the front of the camera that switched to the electronic viewfinder in previous models can now also be nudged to the left to engage the in-viewfinder tab. 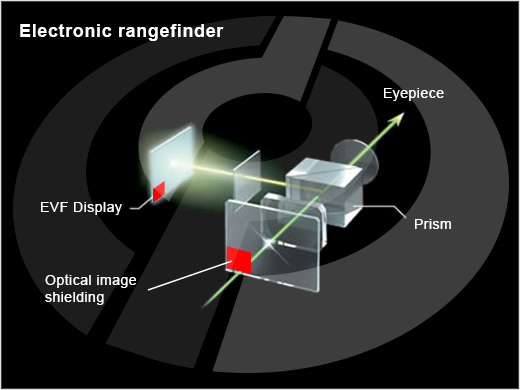 The X100T gains a pop-up tab (indicated as 'Optical image shielding' in this diagram), that allows the EVF information to be clearly projected into the viewfinder. This means an enlarged version of the focus point or the camera's 'Digital Split Image' focus guide can be seen in optical viewfinder mode, giving a rangefinder-like real-time focusing experience. The optics of the viewfinder have been adjusted so that it provides coverage of 92% of the final image, when used in optical mode. This figure refers to the framing offered by the 'brightlines' shown in the finder - they're less than 100% because the actual field-of-view changes, based on focus distance: the 92% coverage is a compromise between the field-of-view and closest focus and at infinity. In addition, the camera gains the rapid 54 fps, 0.005sec lag screen refresh first seen in the X-T1. Various other details of the viewfinder behavior have also been changed, including smaller, cleaner in-viewfinder graphics which shift to match the camera's orientation. Additionally the framing guides and focus point adjust to take parallax into account in real time, meaning you shouldn't have to focus and recompose at close focus distances. The viewfinder can also offer a wide dynamic range 'natural' live view mode as well as 'Shooting Effect Reflection' mode that shows the effect of the tone curve, white balance and color response of the current shooting settings. As well as improvements to the viewfinder, Fujifilm has also upgraded the rear LCD. The X100T's 3.0", 1.04m dot panel is a big improvement over the 460k dot, 2.8" LCD that always looked like the weakest point of the X100S's specification. The X100T also adds a fully electronic shutter mode. This enables totally silent operation and increases the maximum shutter speed to an impressive 1/32000 sec. There is a risk of rolling shutter when the electronic shutter is used, so it can be turned on and off if you prefer. Viewed from above, the added range of the exposure compensation dial is immediately apparent. What can't be seen is that the aperture ring can be adjusted in 1/3EV steps, rather than whole-stop increments. The X100T also sees substantial refinements when it comes to exposure. The camera's aperture ring has been modified, so that it can now be controlled in 1/3 f-stops, rather than the whole stops that the existing models offered. The exposure compensation dial has also been amended so that it now extends to +/- 3EV - something existing users had been calling out for. The other big change, in terms of exposure control is that the X100T retains the ability to apply exposure compensation when using Auto ISO in manual exposure mode, meaning that you can choose shutter speed, aperture and image brightness and let the camera do the work. Although superficially similar, close examination reveals that the case (on the left) has been refined, with less of a protrusion behind the hotshoe. There's also a control dial and an additional customizable button, to its left. The knurling on the dials has been revised, too. The X100T's button layout now more closely resembles those of the X-T1 - though those on the right aren't as recessed as those on its interchangeable lens cousin. The X100T gets a four-way controller, rather than the rather fiddly wheel featured on the previous model. The other prominent change is the inclusion of a larger, more detailed rear LCD panel. The back of the camera gains a full control dial, rather than the push/toggle switch on the back of the existing models (though the finer-grained control of the aperture ring reduces how often you'll need it). Usability is also increased with the decision to make seven of the camera's buttons customizable and to allow the user to change the options included in the camera's Q.Menu, to speed access to their most-used settings. The camera's autofocus system has also been overhauled. The first addition is the inclusion of Face Detection - something we noted as missing from the existing models. There's also an option to tie spot auto exposure mode to the selected AF point, if you wish. The final addition is the inclusion of the 'Classic Chrome' film simulation mode, first seen in the X30. Unlike existing film simulation modes this doesn't attempt to mimic one of Fujifilm's film stocks, instead offering a simulation of Kodachrome. As with previous X100 series cameras, the X100T allows film simulation bracketing or the ability to retrospectively apply different film simulations via its in-camera Raw converter. I had the X100, X100S and X100T, in turn. Each has been greatly rewarding, but now the latest temptation is the X100F! I need to confess to being a firstly camera person, and perhaps also an amateur photographer. The X100 lineage is a classical product line which Leica would have envied were it not for its own long history of classical products. Aside from their mystique, Leica would be hard put to claim product superiority in front of any informed and impartial audience. I'm now really excited about this camera, and here's why.. I've had the OG X100 since 2013, and it's been a faithful companion. I've shot every camera I own at the monthly Ceremony event I attend at the Rebar in Seattle-no other camera does as well what the X100 does, at least none that I have.. so my trusty X100 finally failed to turn on about a month ago. I was sad, but took it into Glazer's. They couldn't fix it, so they sent it to Fuji, who said it needed a new main board because mine was shot. This surprised me not at all, so when they said it would be around $580 to fix it, I told them to go ahead. I got that camera really cheap, and it's been such a great performer-hell, I'd just recently upgraded its firmware and it felt like I got a new camera! Well, it turns out they couldn't fix it. Maybe they didn't have any more of those main boards? I don't know, but what they sent me back was a BRAND NEW X100T!! I'm super stoked!! Wow, am I super impressed with Fuji right now! I found this stream interesting. Half the posters have no idea why the other half are fans of the X100T. And the X100T half just can't seem to explain. I doubt I can do it either, but I'll give it a try anyway. Great cameras don't take great pictures. Great photographers take great pictures. Buying a camera by spec sheet isn't going to get you great pictures. A great photographer will get great pictures using a Brownie box camera. What will help a great photographer get great pictures is a camera that will do all the regular things right, but most importantly, gets out of the way of the photographer so he can concentrate on the pictures he is taking. Sometimes, the best spec camera will get out of the way too. Sometimes, it is a camera like the X100T. Similarly, if video is your thing, you won't be using a X100T. Some people bemoan a lack of zoom. Well, within reason, I have a solution - get closer! Again, context is important. Having only a single focal length forces you to think more about your composition. Forces you to be more "into" your photography. You have to think ahead to get closer if necessary. Eventually, you will "see" you subjects in your head in the perspective of your lens, then actually taking the picture is much quicker. I think too many folks use zoom lens as a crutch. Again context. Sometimes you need a zoom. Often you don't. Something else. Most cameras today are predominately made of plastic. Personally, I don't care much for plastic camera. I like metal. But I don't change cameras often, so they have to last. Fujifilm X cameras minimize the plastic. Nobody else within a mile of the Fujis price does. Question for anyone in the know... Where is the X200!? Why do we have to wait so long? Pick up one second hand and in good condition. Its not the best camera I own but it really a fun camera that I bring in vacations all the time. Also It was only now I realise this camera works surprisingly well as a food camera. but once you bite off the viewfinder surely it's toast! As a traveller, hiker/sailor I have a Fujifilm X-100T and use it evey day. But it is true 16 MP are at at lower end. Hope the new X-100? will get the X-pro2 sensor with 24MP and will be weathersealed. 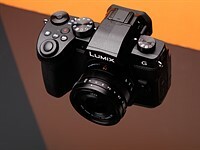 I also have the Panasonic FZ1000 and should choose the LX 200 if ever available with 20+MP, beeing weathersealed and because of the sumilux lens and it's small size and video capabilities! Not sure why the EOS M or even M3 is not included as a good example of good combination of shooting experience and image quality. Even according to DP review's own lab tool at comp sizes, the M3 blows the X100t out of the water in sharpness. Its own 35mm f2 lens is sharp wide open out to the corners. very... sharp. Don't get me wrong I like the x100t. I'm reading this review but I want one and may buy one. But I think the M3 should be up there with competitors. It's probably not as snappy as a focuser as most, but it gets the job done just fine. I use it a lot for street photos. Both the original M and the M3. I'm in the market for a mirror-less camera WITH a viewfinder either four-third or APS... I'm not even giving a glance at cameras without viewfinder either optical or digital. I'd like comparisons against similar cameras such as the Fujifilm X-E2S or the Panasonic Lumix DMC-GX8 :) one can get a APS Fuji X-E2S for $999 WITH a lens or a Micro Four Thirds Panasonic GX8 without a lens... Comments ??? I was extremely underwhelmed and bored with the EOS M3 so I can see why it wasn't compared. A lack of a viewfinder and questionable handling are two reasons alone the M3 isn't in the league of the X100T- and they are major omissions. Sharpness of images greatly depends on the type of raw converter you use, wherein ACR doesn't do the Trans X sensor pattern much justice, the free Raw Therapee raw converter does an excellent job at rendering fine detail without introducing the swirly weird artifacts. I have the OG X100, and I think the lens performance is overrated, if it's rated well at all. What's great about the X100 is the performance for its size. It's small, but not too small to hold, while the lens doesn't jut out at all. It's small when the camera is not in use, and remains small when you power the camera on. It's beautifully done, but there's no doubt that there are (significantly larger) 35 mm lenses that perform better. I mean, it's really a 23 mm lens, and when you even compare the X100's 23 mm lens to Fuji's own 23 mm f/1.4 (yes, I know the aperture is bigger), it's tiny. I have the X100, and I really like the lens. It's not the best on the market, but it's still a great performer. Also, the Canon M3 isn't comparable. It's more like a Fuji X-M or X-A, or maybe even X-E2. I remember using a friends big Canon DSLR a decade ago. Those shots still look great. It was 6 megapixels. Is it? My old Canon DSLR shot 8 megapixels and its output still looks fantastic. My main photography comprises shop fronts with a figure in close foreground. I would wish for a flip out monitor. Shocked that studio shots for this camera seem very poor even at base ISO. I would be far more interested- in fact I would buy it on a moment's notice- a FUJI FILM GS 645D with a 33x44 50MP sensor replacing the 120 film and 6x45 format and the FUJINON S 75MM f3.5 as the fixed lens. Skip the EVF and of course the AF. An affordable digital point and shoot for medium format fans who do not require Picture Scenes or face detection. Luckily I figured out what a face was a few years back. ...me also, so that's 2 sales for sure. I love folding cameras - lens on bellows, a favourite was a Voigtlander 6x9cm - could slip it into a jacket pocket, lightweight and totally robust once closed. Yes to a digital Fuji GS645, with as you say just the essential controls, maybe with 3 interchangeable fixed focal length lenses - and that's it. ...I wasn't suggesting the GS645 was a folding camera like the Voigtlanders and Zeiss Ikons, but compact and robust enough. One wonders what proportion of the 645Z's cost is the sensor, put that in a slightly enlarged X100T, with pared-down non-colourful menu interface (maybe similar to the Leica S007) and yes very interesting indeed! I would love this too. The Hasselblad CFV-50c does this for the V series - about $10k. 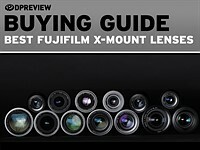 I would be surprised if Fuji could get the price down below $6k. I'd also like a digital Mamiya 7. "Fast access to off-center focus points is key for the kinds of shots I like to take with the X100T." Or, if there were a manual focus ring... I'd find that a LOT more important than a retro throwback pompous f stop ring which is really unnecessary in this electronic day and age. Sir it does have a manual focus ring. Right there in the diagram above and in the description. And I've used it on the camera. 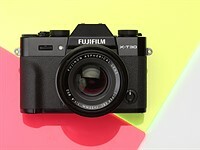 How much bigger would the camera have to be if Fuji put a FF sensor inside with an f1.8 or 1.4 lens? And how much more would it cost to produce? The Sony RX1 should give you a pretty good idea, since that's a 35mm F2. An F1.4 would be considerably larger again, since its entrance pupil would need to be twice the diameter. I have apparently been laboring under a misunderstanding for some time now - I always thought the area of the circle had to double to achieve a one stop increase, not the diameter. Thus, the diameter would have to increase by about 50%, not 100%. You're absolutely right - I clearly wasn't having one of my more brilliant moments. You're right, the area needs to double, so the diameter only needs to increase by 1.4x (Root 2). Result? You can still have 7 programmable Fn buttons AND quick access to the Focus Area and not just the 3 programmable buttons that were suggested in the review. Having one of the Fn buttons taking you into AF point mode is the default camera behaviour, I believe. However, this doesn't quite give the immediacy of direct AF point selection - which is what's new for the T, and something I really appreciated. I think I wrote that page of the review too much from the perspective of someone who's used the X100 and X100S extensively. I'll try to find time to go back and make sure I've made clear that you can still set one button to enter AF point mode, if you don't need direct AF point selection. Bought the camera a few weeks ago. It is really an unbelievable product. If you grew up in film, rangefinders, light meters, and darkrooms you will be amazed at the control you have of so many variables. I finally feel I have a camera that does not limit me in any fashion. It is small enough you can wear it all the time and look like the typical 'tourist' so there is no inhibition to taking any pictures, all the time. I never felt that with a big SLR. It is a fantastic street camera. The camera has this quality of balance to it. Everything fits and works with so much ease. You put it up to your eye and the controls are easy to use in most cases. There is always the exception. The images are excellent. If you want to take time to create your picture this is the perfect tool. And the most important thing -- it has brought a ton of fun back into taking pictures because you get the results you wanted. This looks a fantastic camera. Just really wish it had a flip out touch screen. A few people are saying "I wouldn't buy a camera with a flip out screen" however I wonder how many of those have actually tried one. For me it is more crucial due to disability but they are so handy for those shots taken from the hip or really low level. 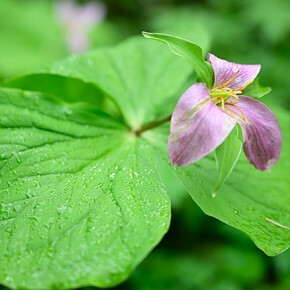 My Olympus E-PL5 has a rotating/touch screen and is lightning fast to focus. And of course you always have the option of not using the features rather than not having them. I think Fuji make fantastic cameras and there firmware updates are second to none. I will just wait in hope for the above mentioned features. This is a very legitimate reason for a flip screen. A disability. And I hadn't thought of that when I was going to assail people for needing their darn almighty flip screen. Luckily I don't need one, even though my knees are awful. Have you tried the Canon G7x? Because it's extremely underrated. I think it's amazing. It doesn't measure up to this in many ways, but it is a heck of a lot more versatile, less than half the price and can do a great job. I don't own one, but I've messed with them many times and they are nice. And check out the samples on Flickr. Plus tilt screen for those less physically inclined. I can relate to the disability issue. When all is said and done, I don't want a fixed-focal lens camera with a 35mm-equivalent ~34mm lens. I teethed in the 50s and 60s on 35mm cameras with 42-57mm "normal lenses." The X100T's lens is too wide for me, and I don't want to start degrading image sharpness by doing major cropping of what inevitably will be lots of shots taken at distances too far from the subjects. Probably shouldn't get one of these then. Either way - those are fantastic. Lots of talent. Thanks for sharing. just wanted to say that your image of those cuban blind kids playing is my newest favorite picture. you should definitely send it to contests! People here who look simply at the specs or the price and compare this camera to smaller sensor point and shoot are missing the point. 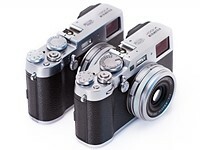 Really, comparing it to the X100S is missing the point as well. This camera is about image quality, versatility, fun, and style. Fuji is just offering the best X100 at this point in time; later they may upgrade the sensor, but will that necessitate a lens and processor update as well? I share the concern about evolving the X100 series beyond the current lens design. Yes, no lens is perfect, but the X100 lens is the best balance of size, speed, resolution, corner-to-corner performance, contrast and bokeh I have ever seen. Unless some advance in glass or manufacturing comes along, a new lens would be motivated only by a significantly higher pixel-count sensor. 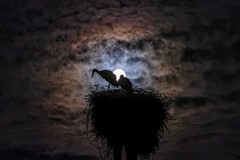 And if resolution is increased, the lovely balance of the current lens is likely to be lost. As my high school math teacher always said about functions, "What you gain on the bananas, you lose on the oranges." However, with Wifi, the tilting lcd may not be needed after all ? Just use iPad or maybe the phone instead ? Why do idiots compare this to the a6000? Are you people really photographers? My God. KNow the difference. Kevin, I am trying to decide between a 100T and an X30 and am just having trouble with the fixed focus lens? I too have pro level gear (Nikon, Sorry) and an X-T1 and just trying to decide if the 100T will work for me. Guessing you mean the fixed lens of the X100T —not fixed focus but single focal distance (aka "prime"), that will depend on the type of photography you do. I shot for over a decade with a fully mechanical camera and a 35mm lens, seldom needing a zoom or to change lenses. However, whenever I needed to shoot macro, product, formal portrait or landscapes, I not only changed lenses, I changed cameras! I went from my hobby 35mm setup to a SLR, MF or even LF. As said, check what you shoot. It might not be able to fill _all_ your camera needs, but if you want it for what it was designed (nominally "street" -aka candid- shooting) I think you might not only be happy with it but also learn a lot. Fuji knows how to make a REAL camera. They know all digital imaging has some kind same/similar image quality . The only difference in digital imaging in these days is , I believe it is the concept of camera design and how users can take photos with a joy. Well, I think X100 series can give pretty give pleasure when you take a photo,it definately feels different than Canon or Nikon. Fuji has their own unique style and and I am sure this is why I am considering convert to FUJI. Nope. I am a real fan of rangefinders: lighter, faster, noiseless and beautiful on top of that. But, honestly, for $1,300 I don't want to be tied down to what some Japanese engineer decided would be my lens. I want options. So, either interchangeable lenses or a zoom. If a zoom, at least 5:1, so maybe 28-150 or something like that. In essence, I'm describing my X20 with a large, real, honest to goodness, sensor. When mirrorless was starting out, it was nice to have a camera like this. It was a nice compromise, not having interchangeable lenses or zoom capabilities. 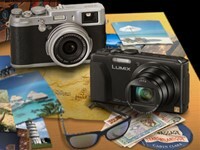 But when I look at the LX100, I don't really understand this product still being offered in it's current state. If it was really inexpensive, I would say yes, it's great bang for the buck. This is from a very brief era: the transitional period where you couldn't get a large sensor fast lens pocketable camera with a zoom. G1Xii proves it would be possible to give this a bright zoom. Although X-trans may be nice for architecture photography, helping reduce moiré, it isn't quite as sharp as bayer when you inspect fine details in test photos when they compared the cameras in this category. Not yet owning either, not affected by buyer's bias, having seen: the test photos, the size (this one is huge by today's mirrorless standards), and the pricing (which is also huge)... I would definitely lean more in the direction of the LX100. 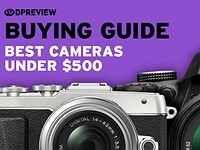 Beg your pardon, I'm sure it's an inadverted typo; are you referring to this camera —the Fujifilm X100T– or the Panasonic Lumix LX100? Totally different species. Yup, I expected reactions from X100_ owners... I'm not saying the LX100 is better. My point is this: the LX100 showcases that you CAN have a large sensor, with a bright zoom lens, in a small package (so does the G1Xii). Fuji's X100 series is enormous in size (and that's ok, for us guys with big hands), and it is certainly large enough for a zoom lens to be incorporated, without making it any bigger. Panasonic, Canon and Sony all prove it possible. And given it's price, it _should_ have a _good_ and bright zoom lens built in - this is 2015 after all. To be realistic, I suspect that Fuji, given their size and market share, just doesn't have the cash to keep up and update this. All they are doing is adding little bells and whistles to an old product that once was groundbreaking but now arguably obsolete. It figures! I have the LX100 —been a fan of the Panasonic LX line since the LX3, upgrading through the 5, 7 and now the 100, superb "always with you" cameras, capable of handling virtually any situation with aplomb and grace. I also had the X-E1 and now the X-E2. The latter is what I truly wanted to replace my yearned Leicas M, lackof optical VF notwithstanding. I'd like Fuji to come up with a compact 23/2 at a pricepoint similar to the 35/1.4 or even the pancake 27/2.8 which if it wasn't for the lack of an aperture ring I'd be getting right away. I guess the X100T might suit me just fine, but then not as my desert island choice. The price sets me off too; I live in a country with an exchange rate of 15:1 to the dollar. If fat cow times come along I might get one when they start to appear in the used market. r a n g e f i n d e r camera, i say no more. I guess different cameras for different folks. I would never buy a camera with motorized zoom lens again. It is so much slower and less precise than a non-motorized zoom. So if I want compact I need a fixed focal length as there is still no way to make a non-motorized zoom for a big sensor fairly compact. The X100T is great for street photography because you are quicker with one focal length compared to a motorized zoom like the LX100. That is an advantage not a disadvantage. At least to me. I own both the LX100 and x100t. I agree that the LX100 seems a tad sharper but if you use a proper raw converter app like Iridient Developer the raw files of the x100t can be pretty tack sharp. Such a shame that we have to put up with sarcasm from members such as RomanP. I found nearly all of the replies were very interesting and do not need to be derided by a anyone who has nothing valuable to say. Shame I can't disassociate myself from this forum. How do you unsubscribe from DP review....... Does anyone know. Fuji need to add articulate screen & sensor-shift. I have the old X100 still love it..but apart from the fast lens in low light conditions the onboard flash is stunning. Easily outperformed by the older Sony NEX 7 or the later Sony a6000, both with interchangeable lenses and lower in price. 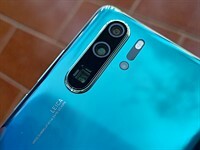 The A has 50% larger photosites (16MP to 24MP), so the dynamic range will be greater and the noise should be less, but this depends on how and how much the RAW files are compressed, which unfortunately they are. I was shocked to find that NEX 7 RAW files are actually compressed (page 92 in manual), thus negating much of the sensor's performance. It appears that Samsung uses little, if any compression. One needs to check the size of RAW files, as this severely limits the possible enlargement and should be listed in the specs. NEX 7-24.4MB; D700-25.4MB. Yes but apparently the pixel pitch is the same. Furthermore, the 7's sensor was sub-optimal for such a short-registry design, because it was lifted from the A77 DSLR. And Sony did not bother to put in any microlenses. Now the A6000, 3 years later, got the new and proper sensor. As I said, the Coolpix A blows the NEX-7 away in some respects. I own both. If you want interchangeable lens why not get a DSLR? This is meant to take great pictures in a small pkg with a large sensor. Since you're comparing apples and oranges let me play- my 55 year old Leica M3 with a 40 year old Summaron f2 lens outperforms the Sony Nex 7. I handled one of these and in playback could not see how to move frame to frame while enlarged. Has this feature been eliminated?? The degree of enlargement needed to be improved ( and could be now that the screen is higher res). Has it? Is the frame to frame feature hidden in a menu? Also - I've never understood why a mirrorless camera has MORE shutter delay than a DSLR. A film Leica and a digital Nikon seem to release almost instantaneously - capturing fleeting expressions. I shoot the x100s and always, even in OVF mode, need to anticipate significantly to get the right moment. Good review but I strongly disagree about the shutter speed dial, to me it's the easy setting of aperture and shutter speed which makes Fujifilms X series stand out from the pack, I would be most annoyed if they decided to to remove it. You may have missed the message between the lines. The problem is that the shutter speed dial doesn't select all shutter speeds. For third stop trimming, you have to use the unlabelled dial at the back of the camera, which only works in brackets of EV+1 from the full stop shutter speed. I would reckon that DPReview would be more positive about the shutter speed dial if it could natively select half or third stops, and the unlabelled dial would removed, or also given access to all stops and third stops. The X100T finally removed the need for third-stop aperture settings to be selected by the rear dial. It is unthinkably shallow of them to keep the shutter speed slaved to full stops and breaking the interface between two physical [controls]. Edit: changed dials to controls in the final sentence. I defer to the more practiced hands in the thread about technical points, but I would like to add only one point. That I own many cameras and lenses and by far my favorite and most hated camera is the X100s. If photography is about passion, the X100s delivers. Superficial retro look, small pixel count, bad this or that...whatever complaints one may have...many of my absolute favorite pictures have come from this nifty little shooter. 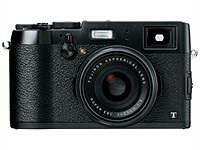 One imagines the X100T will be a similar package, better and more refined. If you go with the Fujifilm, be prepared for the potential of a love/hate relationship. Why spending money for something which is just a cool gadget which is desperately copying Leica's camera when you can have the same result or even better with the Ricoh GR? For who gonna say "because the viewfinder" you can have a Zeiss viewfinder on the GR for less than money than x100T. At this point, has the GR has reached fan-club cult status? These comments keep sprouting like mushrooms. You need to be a photographer to understand why Fuji X100* is quite possibly the best photography tool out there. The plastic Ricoh GR isn't a gadget? Sorry, I'll stick with the magnesium 100t if I have to have a gadget. Plus, you don't get the insane range finder manual focus tool on the 100t with a clip on view finder. The main problem with the add-on viewfinders is that they completely destroy the entire raison d'etre of the rangefinder type camera: the slim silhouette which is discrete, easy to handle and compact. The tall viewfinder feels like an add-on all the time. The Sony R100III has a very credible solution: a pop up viewfinder. If you have one and you like it, then that's all that matters. It makes no different if others like it or not. If it works for you, then that's just fine! The Ricoh GR is made in magnesium body covered with grippy and very solid premium plastic it is also very pocketable than Fuji x100* anyway I understand that the experience you have with the Fuji is difficult to have with any other pocket camera. 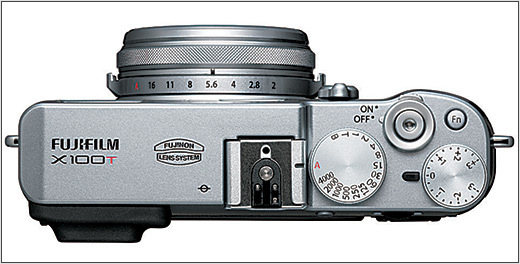 I have a Fuji X-E2 and if I add the XF 27mm (40mm equivalent) pancake lens I would have something similar to the x100*. If BorisBulldog doesn't like the Ricoh GR, then he might approve of the similar Nikon Coolpix 'A' which offers heavier but more solid all-steel construction. Not that it matters very much. Both cameras offer superior resolution to the 100T because of the lack of having no low-bypass (AA) filter. And they are much more compact than the Fuji. I prefer the x100t because I also like the nice coloured photos it takes. Not a big fan of the GR's color output. Also different focal lengths, different looks. As for clip on view finders. I'm pretty sure they have been using those for framing wider lenses during the rangefinder film days so It actually adds the retro feel of the camera. Pretty nice If thats your thing. 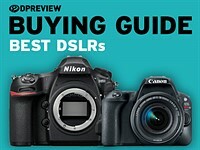 I noticed that the review of XT1 is much better off than this one above. I have seen other page he took photo with beautiful Carl Zeiss Tout lens that was amazing and sharp. Any experiences to share about using the Tele and/or Wide Conversion Lens on the X100T? Are they really necessary / useful, particularly the Tele? Insane price. 24MP EOS M3 with interchangeable f/2 22mm lens is half that and even smaller. You can get a EVF on that Canon and still save money! Why? because the canon doesn't looks like a vintage camera? I've been using an X-Pro1 and now an X-E2, I do have experience with the Fuji HVF. do you really think it worth all thet moneys? Way too expensive, limited usage (fixed 23mm), low resolution.....Compared to, say, A6000, it seems pretty miserable! Why did Fuji make this camera? It sells reasonably well, no? So I conjecture the absurd proposition that they make it due to demand. I think we need to keep in mind that due to QE the money is cramming itself at the top end of the market. So an expensive, luxury item is likely to sell not so many but with big margins, if well made, whereas a middle ranking item may have quite low margins. Sony a6000 ($550) doesn't come with a 23mm f/2 lens, which is the selling point of the X100 series. 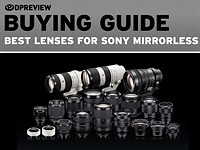 Sony's only lens available in similar stats is the "Sony Carl Zeiss Sonnar T* E 24mm F1.8 ZA" which costs $1100 on it's own. That lens also weights .5LB on it's own. so you get 1.26lb for the lens+camera. Both are luxurious purchases that are very expensive, but hopefully you can see that it's not overpriced for what it is, it's just something really nice and also expensive. You can't change the lens obviously, but the outcome is that you get an incredibly small and pocketable package because it's all built in. It also means you get silent shutter (Sony shutters are like guns) and unlimited flash sync, incredible features if you are satisfied with the =35mm limitation. Personally I have an X-E1 and will only upgrade to another Fuji ILC, but damn that X100T is tempting. It's only a bit more expensive than the 23mm f/1.4 lens from fuji, which is huge and only has one stop better. I'd be very tempted by this as a second camera (with a universally useful =35mm lens which would compliment wide/tele primes on my ILC) if I needed one. P.S. The most popular camera in the world only has one focal length (iPhone). I've had the x100t since Nov. and i'm pretty satisfied. I initially bought the a6000 body only with the zeiss 1.8/32 which I found on sale for $600 bring total cost to $1150. Pretty good. I decided to return them though because at that time the zeiss had firmware issues rendering the AF unusable. Since then the firmware has been updated and I hear AF works well so good news! The a6000 with the Zeiss is bulkier than the fuji but not terribly so. Also I realize that the focal length would be 48mm but all-in-all I would be pretty happy with it I think. It's the only setup I would choose to replace the x100t. I have owned the a6000 and x100t, and the only way I could get images from the a6000 that approached the IQ of the fuji was in RAW, and even then I liked the fuji slightly better because the lens is better than the kit a6000 lens at 23mm. Fuji has an excellent sensor, and if you put a good lens on it it should easily be able to out perform the x100t, but even then I would have had to exclusively shoot in RAW in order to get around Sony's jpeg limits (I could not balance sharpening and noise reduction in a way I liked). It's nice to not always have to shoot RAW and do the associated pp that goes along with that. That is one of the benefits of the fuji for some people. SO to answer the question why did Fuji make this camera, I think it was to put all the best features possible together in as small a package as they could with the understanding that there will be only one focal length. For people who hold IQ and size paramount above zoom or ICL it can be an excellent choice. Hey Squirrel7. Thing is the a6000's kit lens is not in the same ballpark as the fuji lens or other e-mount lenses for the a6000 such as the zeiss i mentioned. If you put the zeiss on the a6000 you are going to see amazing IQ in raw and jpeg. Here's a link that shows the IQ and sharpness of various prime lenses when paired with the a6000. Ah, but it is a lovely camera! And maybe it's becoming an object of status, like a Leica. If you want resolution equal to or better than the A6000 (depending on lens) get the Coolpix 'A' or the Ricoh GR. You're completely missing the point of all the Fuji cameras. You buy the x100 for the viewfinder and direct controls. I have both an original x100 and a Sony A7r - the fuji is way more fun to use than the Sony. 16 MPix low resolution? I just have a show running where all prints are made from the same sensor files (X-Pro1 and X100s), and even in 50x70 cm prints are pin sharp. For wall sized prints some other camera would be better, but even then only a 50-80 MPix MF back would make visible difference. Who ever said 16mp was low resolution? The way I see resolution discussed on these forums often isn't logical. Whether something is higher or lower resolution is completely relative to what you're comparing it to. The 16mp sensor of the fuji aps-c cameras has a max raw file resolution of 16.32 x 10.88 inches at 300 dpi. Sure you can upscale that file but it WILL lower the IQ of the image. period. The 24mp aps-c sensor produces an image that is 1.5x greater resolution than the 16mp sensor. That's pretty significant. 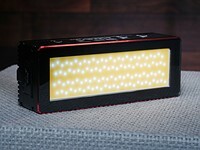 This sensor will produce a print that is 24.48 x 16.32 inches at the same 300 dpi. 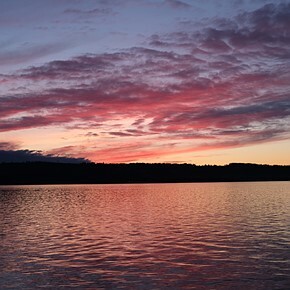 If you aren't going to print 24 x 16 inches or larger then you don't necessarily need the higher resolution. 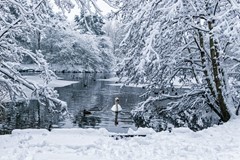 I personally am interested in printing images as large as 8 feet across so resolution is an important factor for me. And yes, I want to be able to see more and more detail the closer I get to the surface. If I want to print this size then both of these sensors are fairly limiting. So if you're printing a file at 50cm x 70cm then you're upscaling the image or printing it below 300 dpi. This file ABSOLUTELY will produce a print of lower quality when compared to a print made at a native 300dpi or higher. PERIOD. If you start using terms like "tack sharp" then you're using subjective descriptions. Just because you see it that way doesn't change the fact that it is of objectively lower quality. There are those, photographers, rather than camera-review buffs, who realize that any given picture is made with one camera and one lens, and have developed a way of moving in the world and shooting that works with a small, quiet rangefinder and 35mm lens. I've made many of my best photos with this combination. One learns instinctively what the frame will be, and doesn't fiddle with zooming, changing lenses, etc. It can be a very direct and engaged way of working. Also, the feeling of a particular camera, which as Cartier Bresson noted, becomes an extension of your hand and your eye, gives a certain satisfaction. 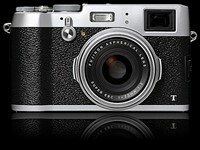 The x100 series has for many become the "Leica with 35 Summicron" of the current era. It's less expensive that the Leica lens alone, and more technologically advanced than the overpriced, bulky Leica digital bodies. Also, the whole machine is optimized for just that one lens. The quality is outstanding, in any light! I'm very happy Fuji took a chance on this series! Plus it's totally silent, a luxury even Bresson didn't have for street shooting. Are you referring to my commenting Marc? Not sure. Anyway, I'm a visual artist and I use the x100t on a daily basis. Even more relevant than Cartier-Bresson in a comtemporary context when discussing the x100t is the work of William Eggleston. It's about being totally engaged in the present moment. My point in this thread was focused on the output of the camera not the shooting experience or the vision of the artist. Eggleston never printed very large. He utilized a complex dye-sublimation process used in the advertising industry. He didn't print any of his own images. The x100t can produce excellent prints. 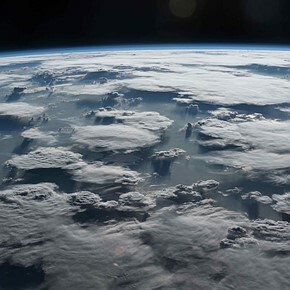 It can't, however, produce files that can be printed on modern printers at a size larger than 16x10 inches at 300dpi. This is a reality of the camera. 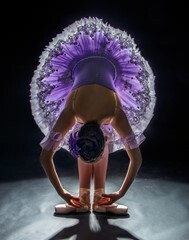 A true photographer/artist is aware of the capabilities and limitations of the equipment that he or she uses. Anything less is lazy. Actually, at 300 dots per inch linearly (90,000 dots per square inch) a 16x10 image would be 14.4 Megapixels. The X100T has over 16 MP, so more than necessary for a 16x10 print. Why do you think more MP would help here? Are you kidding me with that post Squirrel? It's like you didn't read anything I've posted above and are still oblivious. The largest file output of the x100t is: L : (3:2) 4896 x 3264. This translates to exactly a 16.32 x 10.88 image at 300 dpi. So barely bigger than 16 x 10 inches. What is your point? If you want to make prints larger than exactly 16.32 x 10.88 inches then the quality will deteriorate. Why do I think more MP will help? Are you kidding me? I don't think this, it's a simple fact. Petka above was saying he has prints in a show from the fuji sensor that are approximately 27 x 20 inches and are "pin" sharp. A statement like that is just misinformation. No, I haven't read any of your posts above. Just responding to your comment that the x100t can't print larger than 16x10 at 300 dpi. It can, but any print larger than this will have to have its pixels mathematically interpolated from the original 16MP of course. But do we really need one pixel per dot to have a sharp image? Whether or not putting more pixels on the same size sensor can help depends on the quality of the pixels. Sampling the sensor more finely reduces the quality of each sample, though they are getting better every year. Can you interpolate to 27x20 and be "pin sharp" as mentioned? I don't know. I guess it depends on what one considers sharp. Some people think 4K video is sharp. That's only about 8MP per frame, and often on a display that's 60 inches wide. Go figure? Apparently "S" meant "second" and "T" means "third" so we're all awaiting the new OVF sorcery to be unveiled in the X100F. What will be the difference between the 100F and the 100F? What was the actual distance from camera to target for the X100T/S shots? I just downloaded the RAW studio test image for the X-T1 and X100T to investigate this further and what I see is that they are identical in the center but the X100T is much softer around the whole perimeter. I would have thought you got a bad sample, but the X100S seems the same. Then I noticed that the X-T1 image was shot at 56mm whereas the X100 is of course 23mm, so you must have been much closer to the target. I know that the X100 does not do well at close distances wide open, but these shots were at f/5.6. It is hard to believe there is so much edge softness at this aperture. I wonder is this normal for 23mm? 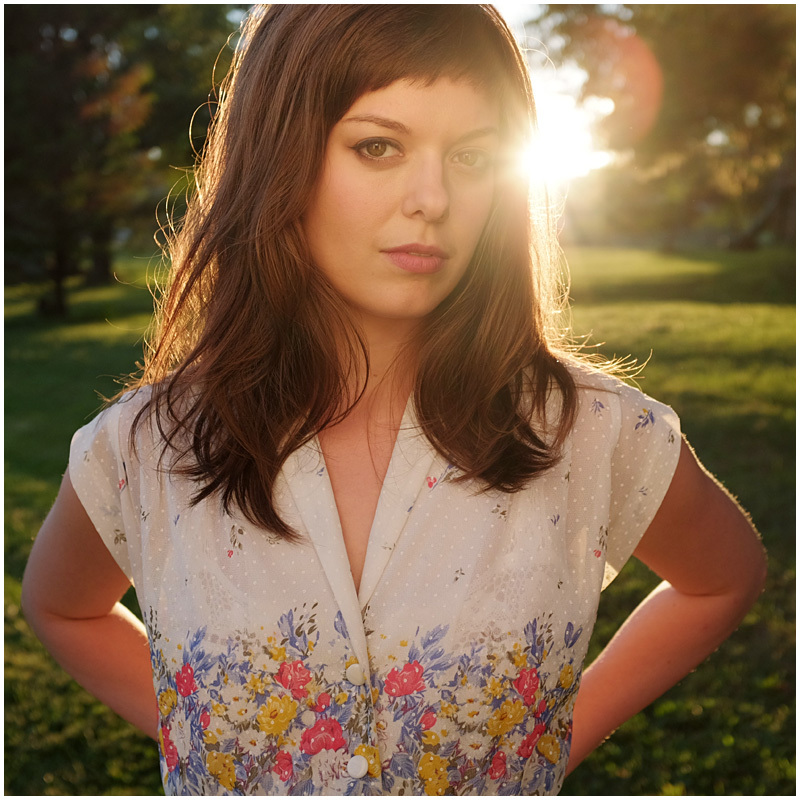 Are there some other cameras listed that were captured at this focal length for comparison? That 56mm is the flagship master lens from Fuji. It's possible it's getting sharpness that just doesn't compare to the X100 series. That said it's bad to compare the 56mm and 23mm either way, there's a Fuji 23mm f/1.4 that would be a much better match. i think their goal is to always get as close to 50mm to keep things equivalent, but in this case that's not an option without involving the TCL, which would potentially mess up the results (though from what I've read there's no real loss). I've seen DPReview make really weird choices in their quest to make all cameras test at 50mm, including the NEX 6 being tested with an awful old 50mm f/1.8 nifty fifty from the Sony A mount lineup. I agree. It is not good to compare one camera at 56mm and the other at 23. The camera is in a completely different position. I wonder how the X100 lens compares to other 23mm lenses at this distance? Have you seen a comparison? It was definitely an A-mount lens at one point, though I imagine they used a better one when they redid everything recently. At the time all the NEX cameras used that lens for the comparison, it was a bummer because they all seemed to be sharpness-constained by the lens rather than their sensors (the 16mp one that's been proven excellent across many brands). Jeremy, the Sony DT 50mm F1.8 SAM may be the A mount lens you were thinking of. It was introduced in May 2009 and is not compatible with Sony's later E-mount cameras, without an adapter. When I compared the test images of the X100T with the E-M5 and a few others I was disappointed at first because the X100T images looked soft. This surprised me because I own the X100T and the Nikon D7100 and I find the X100T's images are about equal in IQ when viewed at the same size, so I know the X100T performs better than these samples suggest. Then I downloaded your RAW file for the the studio test shot with the X100T and when I opened it in LR with Camera Standard profile it looked better than the E-M5 (jpeg) except in the corners. Still not sure why the E-M5 should ever look better. I think something may be a little off in the comparison process somewhere. For example, the E-M5 RAW seems to have significantly more sharpening applied to it than the X100T RAW on this site. Anyway, something seems to be out of balance in the comparison. I noticed the same on the X100S, yet the X-T1 looks sharper. These have the same sensor and the X100T lens is extremely good at f/5.6 as shoot. Hmm. We're really in the weeds with these comparisons lately eh? All the cameras are so good! It ends up being more of a lens test (I can tell when they used a bad lens) than a sensor test IMHO. Someone else noticed that the X100T was the only camera tested at 23mm (for presumably obvious reasons) whereas others were tested with 50mm lenses. Same for the Olympus camera? Could be at least a partial explanation. The X100T jpeg engine is not very good. It seems like a reasonably good camera, but a Canon EOS 100 SLR with a fixed (but interchangeable) 24mm pancake lens and slightly better sensor does most of the same stuff for a fraction of the cost. The Fuji only has USB2, no image stabilization, probably needs an adapter to take filters and probably requires very expensive Fuji brand batteries. I really don't see the attraction to this product. And DSLR has far better battery life. Fuji batteries are cheap as hell on ebay/amazon. "Wasabi" brand are widely available as 2 batteries + charger for $30, and I haven't read a single complaint about them, just people being happy to not have to worry about wasting money. A Canon 100D does not have a better sensor than this camera, certainly not conclusively like you say. I've never read that and it flies in the face of all evidence I've collected about the Canon APSC v. Fuji X sensors. Maybe when the 7D II sensor trickles down to the Rebel lineup it will beat Fuji, but right now that contest is definitely still available. I wonder if the OP really loves the EOS M, or if they use a better camera and only brought it up to make the X100T seem expensive. I've owned the original x100 and I now own the SL1. the Fuji sensor is far better especially in low light. I sold the Fuji because of SAB and bought the SL1 because it backs up my 5d3. The 1.5 crop sensor in Fuji's is only a fraction bigger than the Canon 1.6 crop, that's not why the IQ is better overall. Compared X100 with 7D(2) is ridiculous. has the looks of old Yashica rangefinder and similar ones of the days gone by,sad it only has a tiny sensor for its size. Sensor:size ratio is fine to me! Is there a full-frame digital camera this size that isn't an overpriced Leica? Now if we were talking about the X30 I'd agree with you, it's almost as big as the X100T but has a tiny sub-1" sensor which makes it mostly worthless to me (BOKEH). By comparison the X100 cameras are a great holdable size with an appropriately big sensor inside. It really does look like a Yashica, Canonet or similar. Nothing wrong with that but with so much emphasis on retro and luxury, the finish is nothing like a Leica. "Sensor:size ratio is fine to me! Is there a full-frame digital camera this size that isn't an overpriced Leica?" Sony RX1 is a full frame "compact" camera with 35mm f2 Zeiss lens. You're right FeDost. For some the RX1 will be a more compelling choice, though you'd be spending WAY more money and getting a much worse experience in most ways. Fuji has found a recipe popular enough to keep making new models, Sony unfortunately flopped with their FF attempt. You think the RX1 is that bad? I never tried it so I really don't know but for what I'd read about seems a very good camera. I've never tried the RX1, but they don't seem to have sold many and never released a follow-up, so presumably it's not very popular overall. 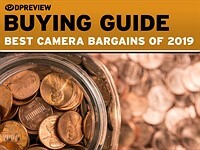 Even if the RX1 is good as a camera, the price point is awful. You can get so much more for that money and at that level of investment you won't have many hobbyists that can justify the cost (or pros who want a fun second camera that badly). Exactly, for that money I would add something more and buy a serious Leica or a mirrorless body and some good lens. (X-E2 with 18mm f2 and 35mm f1.4 for example). About the RX1 there should be also the RX1r out there! Am I alone in finding the image quality on offer from this camera wholly inadequate, considering its price? I really don't understand it. I had the X100s for a while, and while I agree it looks funky and feels nice to use, it suffers from hideous lens flare and the files look weird and mushy, even without pixel peeping. It's just a fashion accessory, I'm afraid. The image quality is fantastic. I've had numerous images published using a combination of X-Pro, X100, and Xt1. I've never had a client complaint about image quality. Overpriced? That's an opinion. Fuji prices are designed to find the optimum intersection of demand and profit. If you are not getting good image quality, it's user error. Luckily you did not buy X100 as in terms of "hideous lens flare", the X100 is the worst due to the poor coating. X100s is getting better b/c coating improvement. In certain sense, DPR is very poor for finding CONs b/c finding CONs needs time, REAL skill, and experience. DPR's Lab testing is very good/useful. As I said before, owners of the S and T versions could upgrade to the original X100- I have the limited edition and I wouldn´t trade mine for any of the newer versions at all. I sold my X-E1 because of the Trans sensor. Jeff - I looked back through some of my X100S photos last night, and it's really not good, although granted I shoot raw. Any fine detail just looks plain wrong - grass, foliage, stones and rocks etc. I suppose it's less offensive for people who specialise in portraits, but for my purposes it just looks plain wrong. 25 years ago our photographer lost (or it was stolen) all his equipment in the airport along with his travel bag. A motorcycle expo had to be covered for our mag. The only camera left was a compact (Canon or Minolta I can't remember). So editor and photographer went to the press day with that "little monster", did whatever they could and returned with some 20 rolls of film. To our surprise their job was great. We slightly changed our concept of presentation due to lack of some poses we had in mind and the "little monster" could not cope and OK.
What I am saying is that photography in every aspect has traveled a long way since then. The best camera is always the one that is in your hand. certain to be Minolta - John Glen took one to the moon ! Fujifilm X100F vs X100T: what's new, what's changed and is it enough?